Wrinkles are a part of life, and if your forehead is a particularly animated part of your face, then forehead lines and wrinkles will likely be the first to make an appearance. According to Style Craze, this is due to a variety of factors—from the natural slowing of collagen production to environmental factors to various facial expressions. But while we now have a myriad of skincare products and treatments at our disposal, natural treatments shouldn't be overlooked. Below find three all-natural DIY treatments designed to soften forehead lines and wrinkles overnight, as recommended by the publication. Carrots are rich in beta-carotene, iodine, potassium, and vitamins. 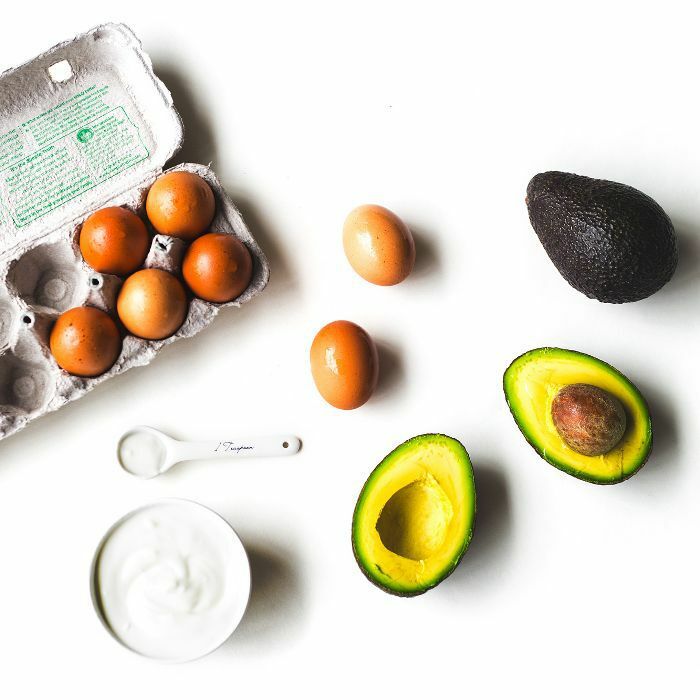 When mixed with amino acid–rich egg whites, the combination makes a refreshing and effective face mask. Directions: Juice two carrots and mix well with one egg white until a smooth paste forms. Apply to the forehead area (or your entire face) and keep it on for 20 minutes. Rinse off with cold water. Repeat three times a week. Regenerate dead skin cells by mixing Vaseline with honey and high-quality olive oil. Directions: Melt two tablespoons of Vaseline in the microwave or on the stove. When melted, mix in one tablespoon of honey and one tablespoon of olive oil. Pour the solution into a smaller container and leave it aside to solidify. Apply the cream to your forehead before bed and leave it on overnight. Rinse it off with cold water when you wake up. Cocoa powder is a powerful antioxidant that protects your skin from harmful free radicals while olive oil moisturizes and helps revive your skin. Directions: Mix two tablespoons of cocoa powder with two tablespoons of olive oil until a smooth texture forms. Rub the mask onto your forehead, leaving it for at least 20 minutes. Once it dries, wash it off with cold water. Repeat twice a week. Head over to Style Craze for more all-natural forehead treatments.